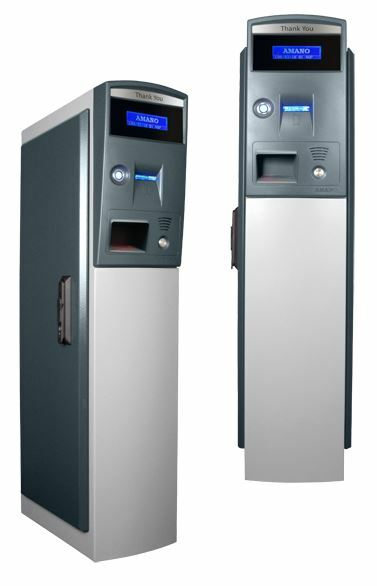 The AMG-4570 Series ExpressParc® Exit Pay Credit Card Station accepts entry tickets and validation coupons, calculates parking fees, accepts and processes credit cards, and issues receipts. The AMG-4570 interfaces with an on-line credit card host PC for fee calculation and credit card processing. This unit is extremely cost efficient because it reduces the need for cashiers, allowing for effective employee utilization.